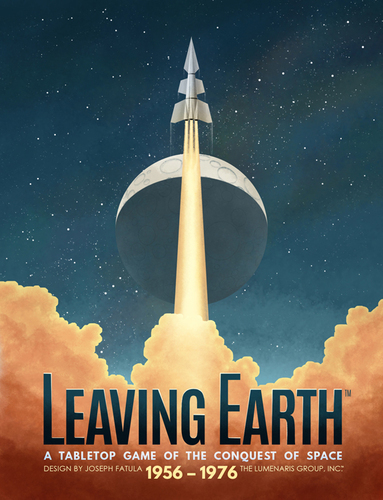 For my birthday Edmund gave me the game Leaving Earth, published by Lumenaris. 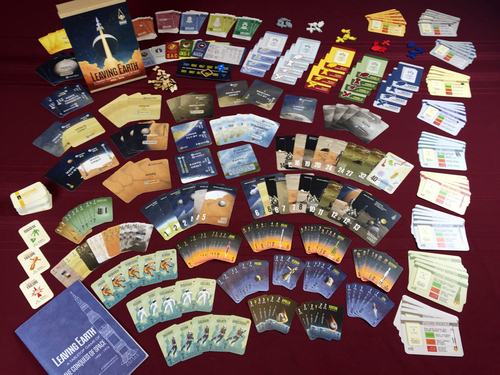 This is an attractive game of space exploration published by a local family-owned company. Design, art, layout are all the work of a single person, Joseph Fatula. The art is beautiful, the theme richly conveyed in every component, and the hand-made wooden pieces in the shapes of various spacecraft made me squee with delight. Even the box looks lovely, and it was hard to bring myself to cut the seal to open it. 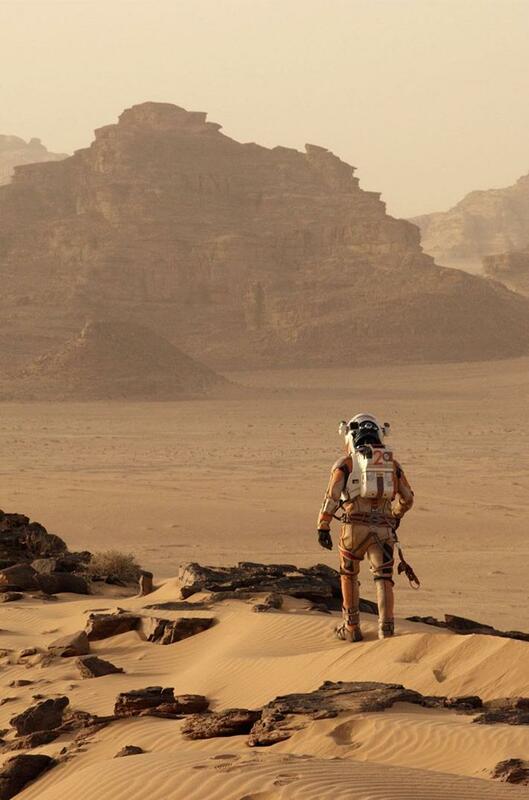 We saw The Martian and found it as advertised. We liked it, it was a good choice for thrills, fear, humour, and hope. Visuals and special effects: 5. It feels real through and through. I don’t recall a single moment when effects made me disconnect, and the motion shots in low gravity are very nice. Soundtrack: 4. Orchestral stuff is appropriate and works fine; plus they found a way to add some songs I hate and make me like them. For a bit. In context. Casting: 4. Good choices, and I thought some of the actors might feel pleased to get some roles so different from what they often play. Lots of familiar faces and great actors. Direction: 4.5. Like in (nonfiction) Apollo 13 before, the movie steers clear of one of Hollywood’s favourite tropes, the Great Man or supergenius who single-handedly makes everything all right. 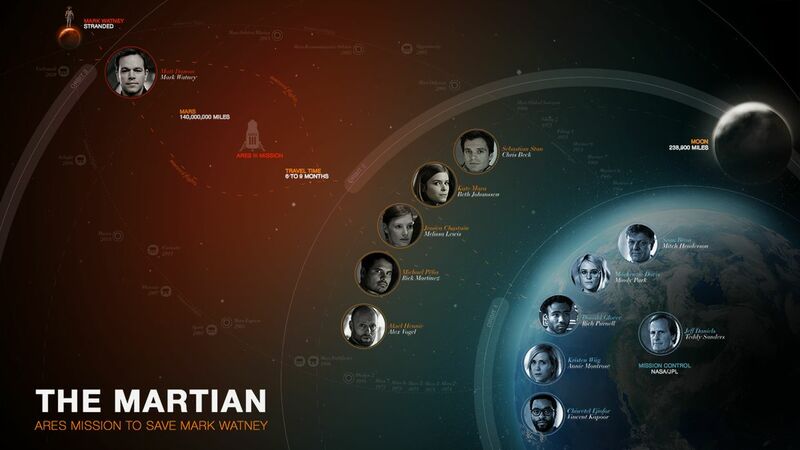 The central character of Mark Watney is obviously extremely smart, resourceful and tough, but you soon realize that he’s pictured that way not because he is supposed to be the Chosen One but because of the selection and training process that brought him to Mars. It’s necessary that he be an exceptional individual but so are all involved, and they are all needed. As a bonus, the right touch of humour (which I understand is in the novel) is preserved. Editing: 4. Tight. The passage of time is handled pretty well; good and relatively sparing use of techniques like montages and voice-overs. Science: 4.5. The most hand-wavey portions happen in the opening scenes; the reason protagonist Mark Watney is left on Mars is out of whack with what we know of the planet. Amusingly, some of the criticism levelled at the science in some later scenes seemed to me to show the commenters’ lack of grasp of the context. Diversity: 4. Some excellent choices, reflecting a good deal of real-world racial and gender diversity. Bonus points for international cooperation. Still centers on a white man, of course, but strong, significant roles to non-white and/or non-male people. Alas, I noticed no hint of disabled, non-hetero, or non-cisgendered characters. Only one non-white woman, with no lines in English. Feminism: 4.5. It passes the Bechdel test within minutes, as well as the Strong Female Protagonist benchmark. Lead female character makes life-and-death decisions and they are respected. The Bart Sibrel Award for Verisimilitude goes to Ridley Scott, Arthur Max, and Dariusz Wolski. We’ve finally reach the point where we can make really good hoax expeditions, as long as no one on the filming crew, post-production, and support team of hundreds talks, and no one notices the large mobilizations to Hungary and Jordan. Thanks to Ridley Scott’s own Alien movie and its, ahem, progeny, we’ve had a lot of space horror movies in the last three or four decades. But in the end, the thing that should really scare us is that the universe doesn’t give a damn. If we are to survive, we need each other. That’s the message I took from this movie, anyway. I will leave you with two images I really like: the cast poster, and the good ship Hermes (my new screen background). Our Sun is a second- or third-generation star. All of the rocky and metallic material we stand on, the iron in our blood, the calcium in our teeth, the carbon in our genes were produced billions of years ago in the interior of a red giant star. We are made of star-stuff. Although Sagan was not the first one to point this out nor to use the now-famous expression, he was largely the one to popularize it as he continued using it in articles and presentations, and particularly in the excellent 1980 PBS television series Cosmos: A Personal Voyage. So that’s my final thought for the season: we are born from the collapsed heart of ancient stars. If that is not awe-inspiring, I don’t know what is. 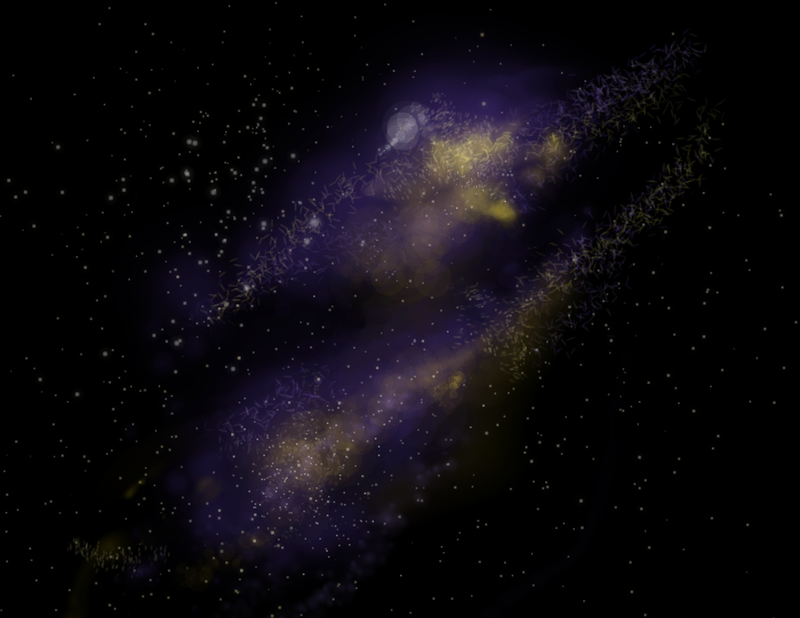 Note: The image above is not a photograph of any real star formation in our night sky, it’s a digital painting I made for the love of it. I hope the picture comes out properly, I understand that a previous version came out way too dark on some computer monitors. I tinkered with it, and I hope it is fixed now. Image by Sophie Lagacé 2010-2013, licensed under CC BY-NC-SA 3.0. Last night we tried the beta playtest version of Danger Patrol. Created by Seattle game designer John Harper, Danger Patrol is a quick-start role-playing game where players take the roles of pulp science-fiction heroes. Character creation takes only a few minutes and play is quick and fairly simple, revolving around eJohn Harlements of danger added on-the-fly by the players and game master. This is a great match for the Emerald City Gamefest Thursday Night Open Game sessions or a pick-up game among friends. The game is still in beta testing so there is no lavish production. 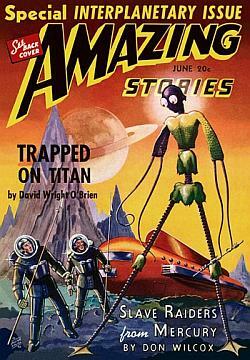 It’s a neatly laid-out PDF document with a ’30s science-fiction look, but the only illustrations are icons, examples of use of dice, markers, etc., and a head shots of “Professor Bradbury” and “Danger Cadet Billy”, the narrators (or the Clippies) of the game, answering the questions expected from readers. The writing is clear and kept short, and the information is well organized for quick reference. There are many useful checklists and cheat sheets, such as the list of the “stuff you need” to play (what types of dice and how many, markers, tokens, etc. ), the step-by-step character creation process, the scene sequence, the “GM jobs and threat move” page, the list of “heroic actions”, the rules summaries, etc.